The removal of a nearby road and the construction of a new, off-site, visitor center will return England’s prehistoric stone circle, Stonehenge, to a more tranquil, natural setting. Until now, facilities to welcome visitors to the World Heritage Site have been limited and outdated. But the project led by English Heritage to transform Stonehenge not only provides world-class facilities, but also returns a sense of context and dignity to this ancient marvel of human endeavour. After removal of the road and high ugly fencing right next to the Stone Circle the old parking area and visitor buildings will be cleared and is currently being grassed. Eventually, the road, car park and visitor buildings will be gone – leaving Stonehenge surrounded by grass and reunited with its ancient approach, the Avenue. Visitors will be able to enjoy the special atmosphere of the Stone Circle with fewer distractions from modern–day sights and sounds. English Heritage will open the new visitor centre in the winter of 2013.The past year has seen epic improvements. Over £40 million pound has been invested to offer the best experience since Neolithic times. By far the easiest and most convenient way to experience Stonehenge is by joining a guided tour from London, Salisbury or Bath. 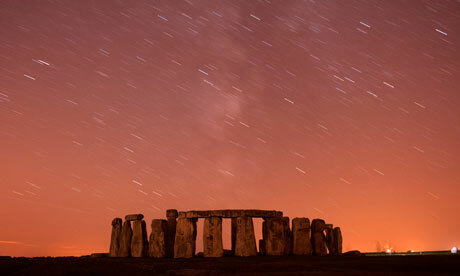 Most tours enter Stonehenge during public opening hours of Stonehenge. 2014 will see the introduction of a ‘monorail’ travelling some 2km from to the monument which will be a greatly improved experience to previous years. If you are able to plan ahead we strongly recommend booking a ‘private access inner circle tour’ which offer guided trips outside of public opening hours but there are very limited sessions where you can actually walk among the stones and demand is great. These sessions are very early morning or evening on a tour its either a very early start from London or a late return in the evening. These viewings are called ‘special access’ or ‘inner circle’ tours. Some operators even go to the length of gaining access during the actual sunrise or sunset and we highly recommend this if you are able to book in advance. Stonehenge’s orientation on the rising and setting sun has always been one of its remarkable features. Whether this was simply because the builders came from a sun-worshipping culture, or because – as some scholars believe – the circle and its banks were part of a huge astronomical calendar, remains a mystery. By far the best way to experience Stonehenge is on a sunrise / sunset guided tour. There are also local operators offering tours from Salisbury, Bath and the port of Southampton. 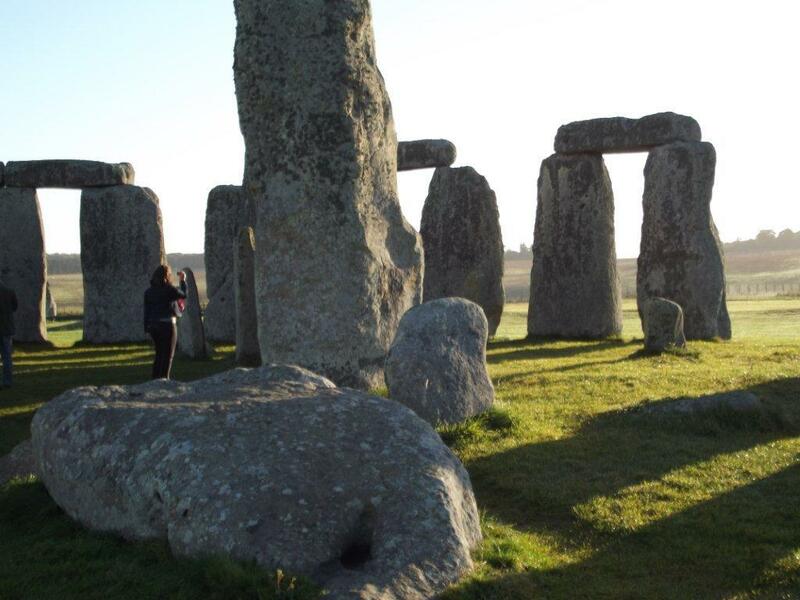 Staying close to Stonehenge gives the opportunity to absorb local culture and its rich history and get a taste of the real England that many tourists miss whilst staying in the tourist capital of London. 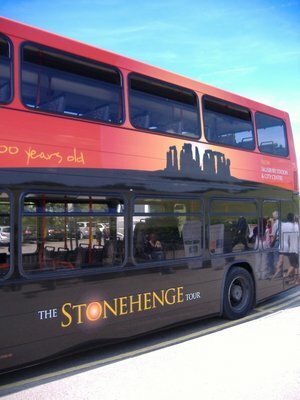 The Stonehenge Tour Bus is an ideal way to learn about the history of Stonehenge if you are travelling by public transport. The hop-on hop-off service stops at Stonehenge and Old Sarum and gives a recorded commentary on the history of Salisbury. 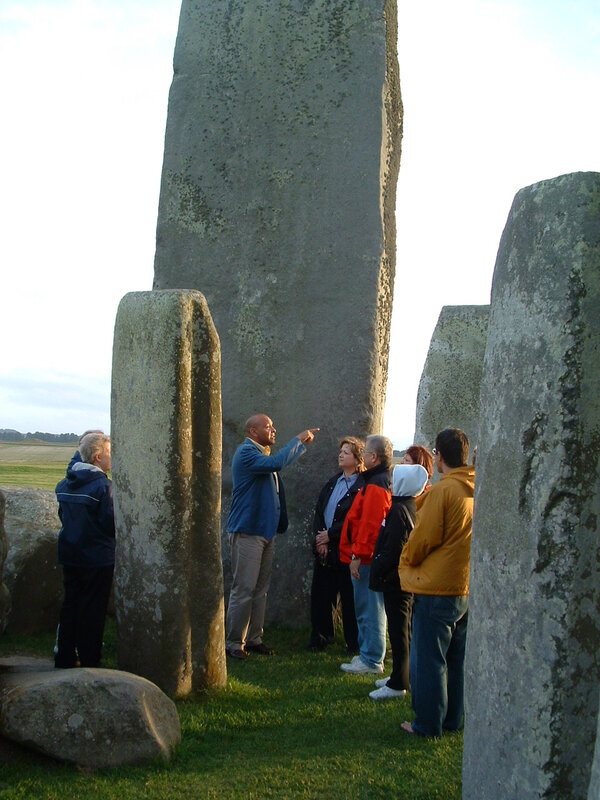 The Stonehenge Travel Company based in Salisbury offer scheduled small group guided tours including the popular Stonehenge sunset special access tours and can often arrange additional dates for private groups. Their exclusive tours; half and full day options are also available. There popular tours also visit the other Neolithic sites like Woodhenge, Durrington Walls, Avebury Stone Circle, Silbury Hill, West Kennet Long Barrow, Chalk Hill Figures and also get you off the tourist trail seeing some of the delightful English countryside in the area. There’s also Salisbury, Stonehenge and Sarum tours with their minibus and tour in several languages. Wiltshire is a perfect all-year destination for groups with plenty to see, do and experience. Extend your day visit to an overnight stay and see more of what Wiltshire has to offer. With a history spanning over 6,000 years, we have Stonehenge and Avebury World Heritage Site, Britain’s tallest Cathedral spire in Salisbury and the Magna Cartta, magnificent stately homes and gardens and some great shopping experiences. Download the Visit Wiltshire and Visit Salisbury Apps and have up to date information at your fingertips! Discover the night sky through telescopes and exciting myths and legends. Join our friendly team of astronomers for an adventure exploring the night sky with telescopes, alongside legends told by our own starry storyteller, activities, and toasting marshmallows. As well as learning about the constellations, we hope the Perseid Meteor Shower will be putting on a show! Saturday 20 April 8pm – 10pm. Saturday 10 August 8.30pm – 10.30pm. Telescopes and expertise are provided by Chipping Norton Amateur Astronomy Group, storytelling with Lizzie Bryant.Meeting on byway 12, close to the Stonehenge Car Park (which will be closed when the event starts) parking at own risk – OS grid reference SU 120 424, postcode SP4 7DE.Bring a torch. Wrap up warm – we recommend plenty of layers, gloves, scarf and a hat – and wear stout footwear. Bring your own seating and blankets. You may like to bring a drink and a snack, too. Access is by pedestrian and farm gates; the terrain is grassland, and trackways that are uneven underfoot and sometimes potholed. Ideal for accompanied children, 8 years and up. A meteor shower is a spike in the number of meteors or “shooting stars” that streak through the night sky. Most meteor showers are spawned by comets. As a comet orbits the Sun it sheds an icy, dusty debris stream along its orbit. If Earth travels through this stream, we will see a meteor shower. Although the meteors can appear anywhere in the sky, if you trace their paths, the meteors in each shower appear to “rain” into the sky from the same region. Meteor showers are named for the constellation that coincides with this region in the sky, a spot known as the radiant. For instance, the radiant for the Leonid meteor shower is in the constellation Leo. The Perseid meteor shower is so named because meteors appear to fall from a point in the constellation Perseus. 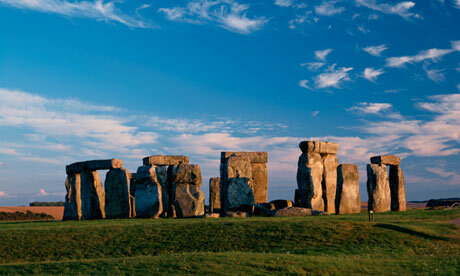 Salisbury and South Wiltshire Museum will be lending around 250 objects to the new visitors centre at Stonehenge. The facility will be home to a special exhibition area and is due to be completed before the end of the year. The museum have all the finds from every 20th Century excavation. Stonehenge is a unique monument standing at the heart of an extensive archaeological landscape on Salisbury Plain. Finds from excavations at Stonehenge are held at the Museum, as well as important discoveries such as the Monkton Deverill Torc and the Amesbury Archer burial. As well as collecting objects from Stonehenge, the Museum has an extensive range of paintings, prints and drawings of the monument. 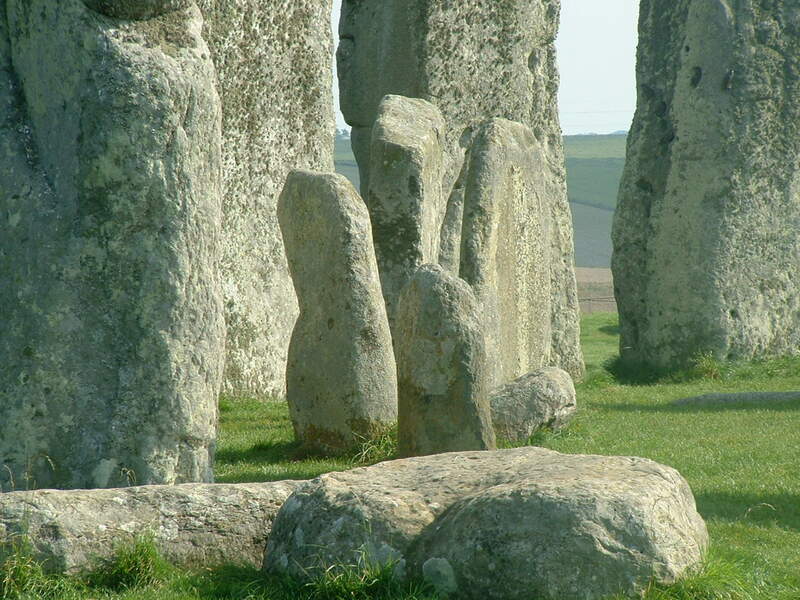 These include some of the earliest known depictions of the stone circle, as well as works by contemporary artists. A TOUR operator has waded into the row over the £27million improvement project at Stonehenge, saying that while some operators may bypass the stones the “vast majority” are welcoming the transformation. The new development – involving a ten-minute shuttle from the new visitor centre being built 2km from the stones – will require a significantly extended visit time for tour operators. Some guides fear the plans have been ill-thought out and that the two-hour stop recommended by English Heritage will put tourists off as many have limited time and want to “see as much as possible” in their packed daily itineraries. But Ralph Bennett, director of Tours International, who has brought visitors to the iconic site for the last 25 years, said they only spend a short while at the site because the current facilities are inadequate. He said: “Parking is problematic, our clients have to queue and there is nowhere to sit and eat under cover. Yes, we currently fit two or three destinations into a one-day tour, but Stonehenge is most definitely the star attraction. “The transformation being made by English Heritage will address these problems and enable us to offer Stonehenge either as a day out in its own right or as part of a two-stop tour; and a two-hour visit will be about right. They predict it will mean some tours will bypass the stones in favour of visiting elsewhere. The new development will see tourists arriving at the visitor centre, 2km away, and either taking a ten-minute shuttle to the stones or walking there. and are recommending tour operators plan a “dwell time” of at least two hours for groups to “fully appreciate and enjoy the enhanced experience”. But tour guides say they only allow for an hour at the site, and extending this would prevent them from offering tours that take in visits to three or four places, such as Windsor, Bath and Salisbury, on the same day. Don Cross, managing director of Wessexplore, said: “Tourists from all over the world often have limited time on their expensive programmes and wish to see as much as possible in their visit. Other concerns include the lack of shelter by the stones and the “escape back to the coach” option no longer being available if the weather is bad. Chief executive of VisitWiltshire, David Andrews, said that while visitor numbers may drop in the short term, there was a “fantastic opportunity” for Wiltshire and Salisbury to encourage people to stay in the county for longer. As Stonehenge gears up for winter, we wanted to let you know we’re making good progress with the new visitor centre at Airman’s Corner. This time next year, work will have been completed and we’ll be busy preparing for the opening. As you can see from the photo below, the visitor centre and the car park are taking shape behind the hoardings. The building should be water-tight by Christmas and a ‘bird cage’ scaffold will be used in the New Year to help install the delicate canopy roof. We’ve taken great care with the design and construction of the building – disruption to the ground has been kept to a minimum and we have used locally sourced materials wherever possible. A visit to the stones will, for the first time, be enhanced by special exhibition galleries curated by English Heritage experts which will tell the story of Stonehenge and its relationship with the wider landscape. They will feature important objects excavated near Stonehenge kindly loaned by the Wiltshire Heritage Museum and the Salisbury and South Wiltshire Museum. One exciting feature of the outdoor gallery is the reconstruction of three Neolithic houses based on rare evidence of buildings unearthed near Stonehenge. We need volunteers to help us build three prototype houses at Old Sarum Castle in spring 2013 and then build the actual houses at the new visitor centre in autumn 2013. To find out more or to register your interest, please go to Stonehenge volunteering. The construction work is not visible from Stonehenge at all; throughout the construction period Stonehenge will continue to welcome visitors at its existing facilities. An opening date for the new visitor building will be announced in 2013, and the switch-over to the new facilities will be overnight so that there will be no disruption to visitors. When the new visitor centre and its captivating galleries open in winter 2013, we will start dismantling the existing facilities and restore the landscape around the stones. We look forward to keeping you posted as these exciting developments progress. We understand the closure of the A344 has raised some concerns – it’s a vital change to help create a more tranquil and dignified setting for Stonehenge, but we are working hard to mitigate the impact. The Highways Agency is carrying out works to improve the capacity of Longbarrow Roundabout to cope with the diverted traffic (see details below) and the section of the A344 between Stonehenge Bottom and Byway 12 will only close when these improvements are complete in May 2013. The rest of the road will remain open until we move operations to Airman’s Corner. Work is also underway to improve the Airman’s Corner roundabout. During the construction, we’re keeping the use of traffic lights to a minimum but some are needed to ensure safe traffic flow. The Highways Agency has started a six-month scheme to improve the Longbarrow roundabout at the junction of the A360 and A303. The proposed improvements to the northern and eastern approaches to the roundabout will accommodate changes in traffic flows following the planned A344 closure in May 2013. New lanes will be added to the roundabout to take the extra traffic caused by the closure of the A344 and the centre of the roundabout itself will be realigned. During the works, there will be lane closures on the northern and eastern approaches to Longbarrow roundabout and a temporary 40mph speed limit in place. The A360 south of Longbarrow will be closed for up to eight days and nights on dates to be confirmed in either February or March 2013. Diversion routes will be in operation using the A345 or the A36 depending on journey destinations.